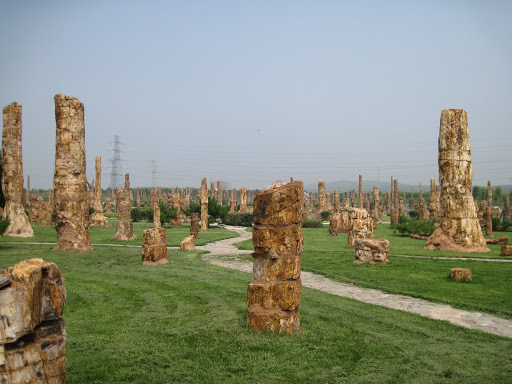 During the Flugsaurier Symposium I went on a field trip to Liaoning Province, which was a great opportunity to see different parts of China and visit Jehol group outcrops and museums. 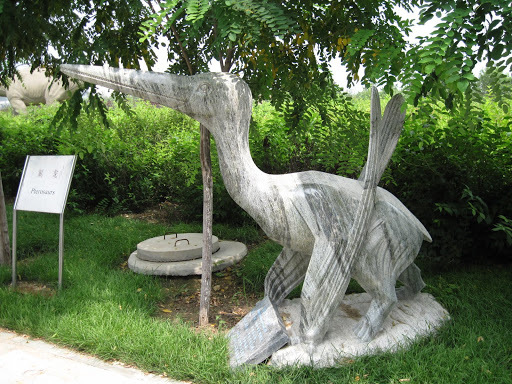 We first visited the Chaoyang Fossil Bird Geopark, which included a museum, in situ exhibits, parks, and lots of interesting statues. This is Nurhachius, an istiodactylid pterosaur from the Jiufotang Formation. The model has too many teeth, but he’s still pretty fun. One of the best parts of the visit was this great in situ display exposing Jehol Group rocks. It had fairly good descriptions of the geology, and even marked on faults and other interesting features. 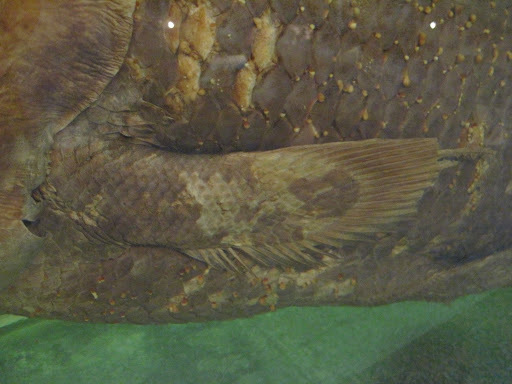 Fossils discovered during the excavation were left in place, and included Cathayornis, Shenzhouraptor, and lots of fish. 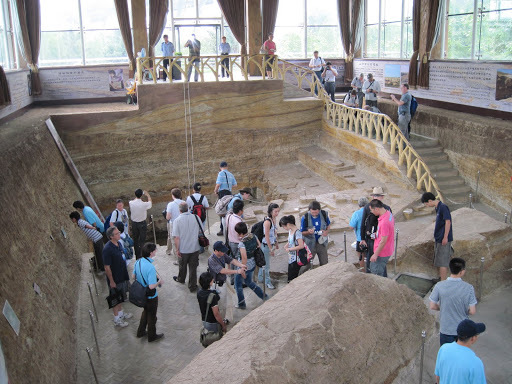 Inside the museum proper were literally hundreds of Liaoning fossils of every sort – insects, plants, fish, turtles, champsosaurs, theropods, birds, pterosaurs – the list goes on and on. 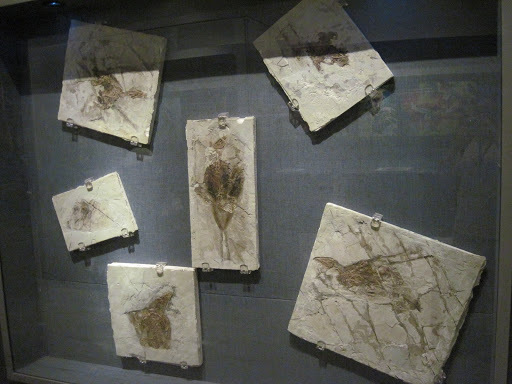 Here’s just a single display case showing off various fossil birds – I think they are all Confuciusornis, but may be mistaken. It was easy to be overwhelmed by the sheer volume of fossil material in the geopark. After we finished in the museum we entered the fossil forest full of enormous petrified stumps. Incredible! 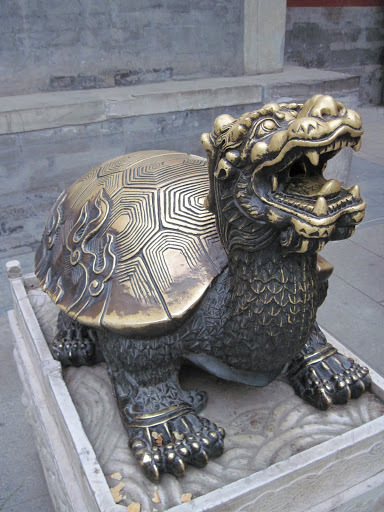 My food adventures did not end when I left Korea – I have had many opportunities to try new things while in Beijing in Liaoning province, and have added several new meats to my ‘animals consumed’ list, including donkey, pigeon, and crocodile. 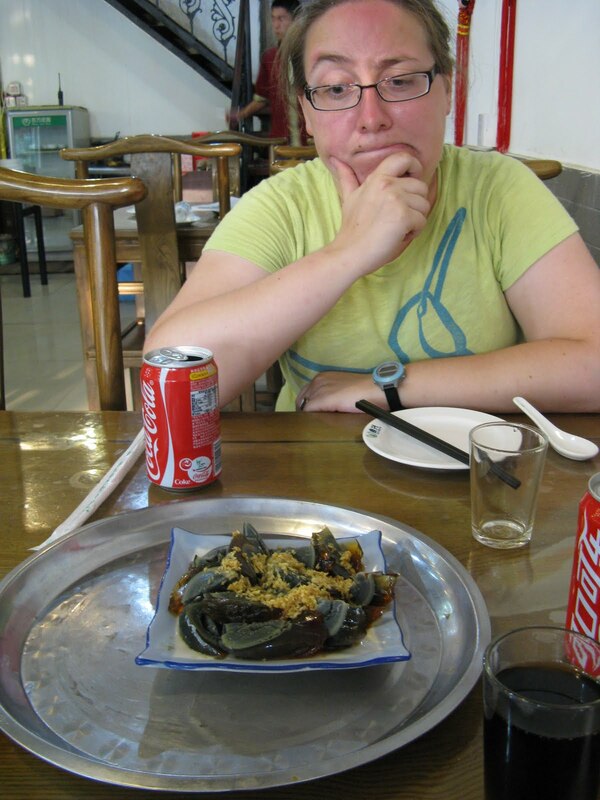 Here are a few of the more memorable dishes that Scott and I tried. I Climbed the Great Wall!